Alton, IL, is right on the Mississippi, which makes for beautiful views and a decent local economy. It also means mold and spores all spring long, which is just one reason to change out the air filters in your AC system on a regular basis. 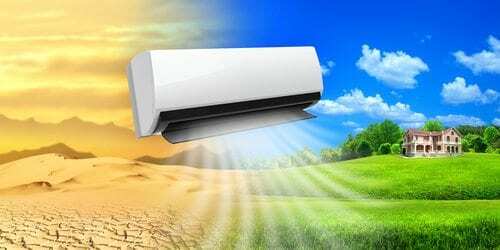 That filter is an underrated part of your home air conditioning system, and by screening the air circulating throughout your home, it does a lot to improve indoor air quality. Here are just a few of the things a good AC system filter catches for you. Unless you live in the most northern settlements in Alaska, the air in your home probably has pollen in it. In fact, pollen can be found in the ice in Greenland, so it’s fair to say it gets everywhere. Airborne pollen can cause itchy, watery eyes and hay fever, but a filter with a high enough MERV rating can catch even the tiniest grains of pollen and keep the air in your house safe for people with allergies and asthma. Another common irritant is the dust mite. No matter where you live, and no matter how clean your house is, the air around you is alive with millions of these tiny arachnids, which live by eating sloughed-off skin and other detritus. When they get into your nose, these bugs can cause sneezing fits that last several minutes. Fortunately, a good AC system air filter catches them too. Many people think they’re allergic to pet dander. Actually, they’re allergic to a protein found in dog and cat saliva. When your pet licks its fur, some of that dander gets into the air, where the saliva dries out. That puts little grains of dry protein in the air that can trigger an allergic reaction. Your filter catches these grains — which are covered with the irritating proteins — and screens them out. If you don’t have a serious condition like asthma, allergies might strike you as no big deal. Black mold, on the other hand, can ruin your house and render a home unfit to live in. Mold grows in dark, moist places (like inside an AC system) and reproduces by tossing off clouds of spores, which act a little like seeds. Wherever spores settle, you can get mold. Regularly replacing the filter in your AC system ensures you catch most of those spores before they settle out on a surface, and helps to keep your home safe and clean.